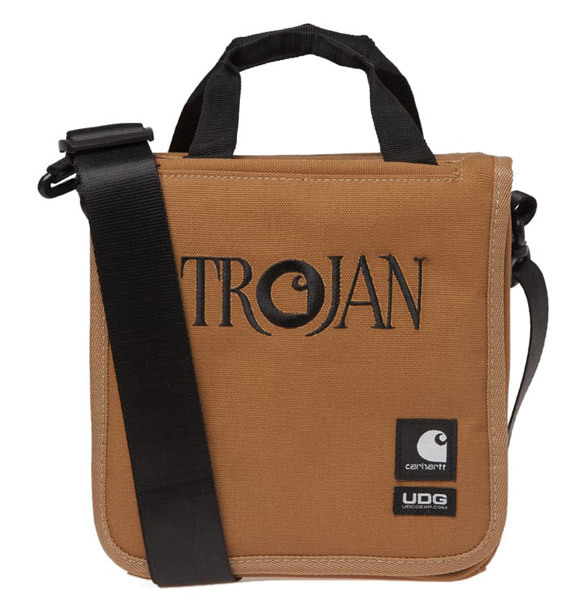 There’s a Carhartt x Trojan range on the shelves and it includes these 7-inch record bags. 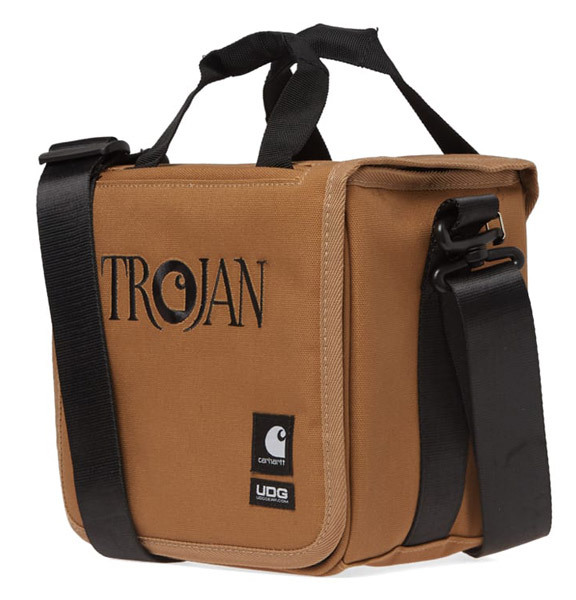 Ideal if you love a ska or reggae 45. The range is mainly t-shirt of both the long-sleeve and shirt-sleeve variety and if you are a fan of the label, you might want to check out all the range here. 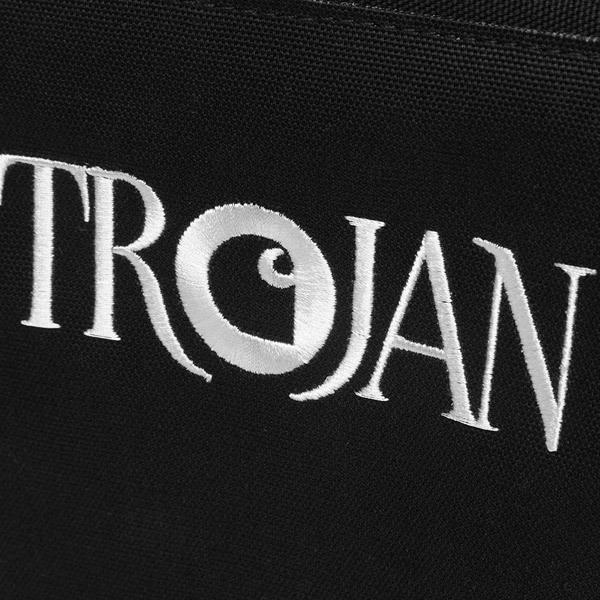 But Trojan t-shirts aren’t exactly unusual and if you do a web search, I’m sure you’ll find a lot more – and probably much cheaper too. But the bags? Well, they are a different case altogether. 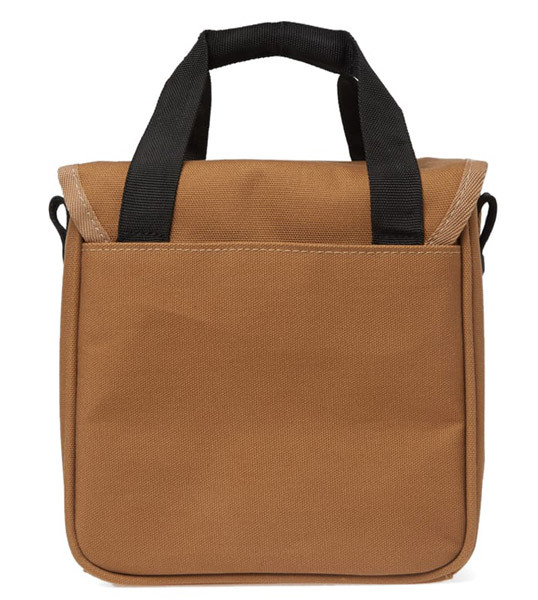 Produced for the label’s 50th anniversary, they stand out from the rest of the range in both the brown and the black colour option. 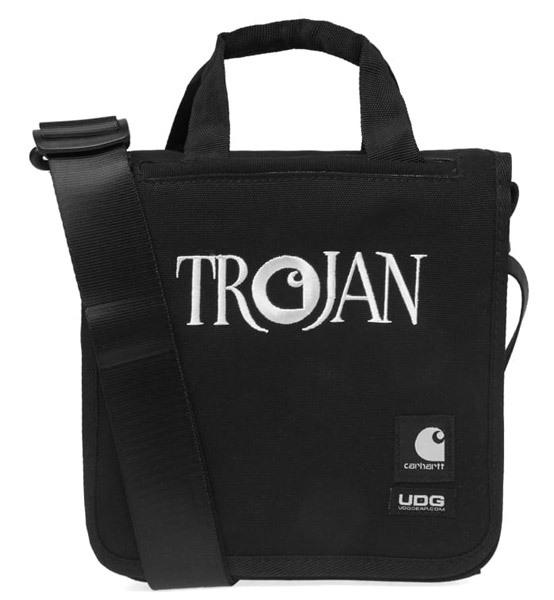 The bags are cotton, with a main velcro compartment, embroidered branding, woven brand patches a carry handle and an adjustable shoulder strap. 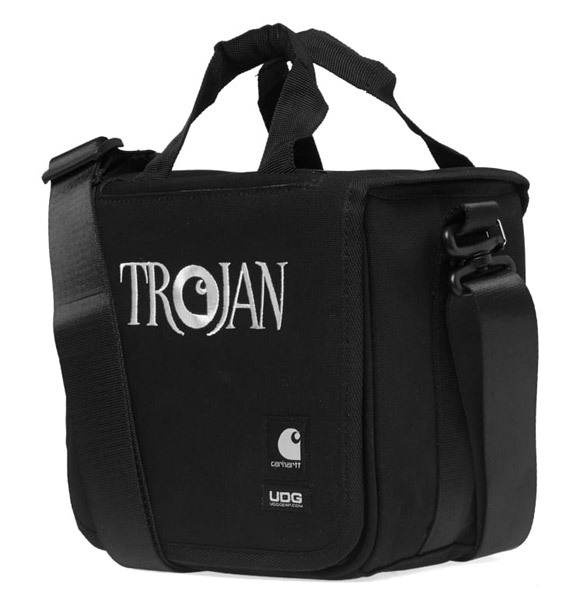 No idea of the capacity, but it is quite a chunky bag, so I’m guessing a good number cam come with you. Downside? Not cheap. You are looking at £75 for one of these limited edition pieces.